Wovenhand is a band led by dedicated life-musician and lyricist, David Eugene Edwards. Over the last two decades, his prolific work in both Wovenhand and the legendary 16 Horsepower has influenced and inspired a generation of musicians throughout the expansive alternative music world. Wovenhand cannot be described in traditional terms. Their sound is an organic, weavework of neo-folk, post rock, punk, old-time, and alternative sounds. All coming together as a vehicle for David's soulful expression and constant spiritual self exploration. Sometimes sad and sorrowed and at other times uplifting, Wovenhand are always unforgettable in spirit and sound. "Refractory Obdurate" is the latest album from Wovenhand. Joining David on this album are longtime percussionist Ordy Garrison, along with musicians Chuck French and Neil Keener (Planes Mistaken For Stars, Git Some). "Refractory Obdurate" is a moving masterwork that shows Wovenhand exploring louder roots hinted at on prior albums. As they maintain their melodious course, "Good Shepherd", "Field of Hedon", and "Hiss", stomp forth with a newly amplified punk rock heart. While "The Refractory", "Salome", and "Obdurate Obscura" each ascend epically into a multi-layered haze. 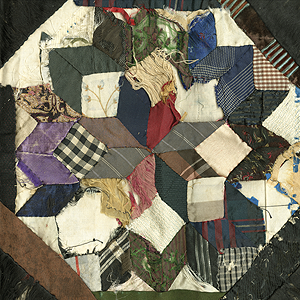 Ten songs in all, "Refractory Obdurate" plays as a beautifully crafted patchwork that transcends genres and expectation; a true artistic achievement, that only Wovenhand could offer.